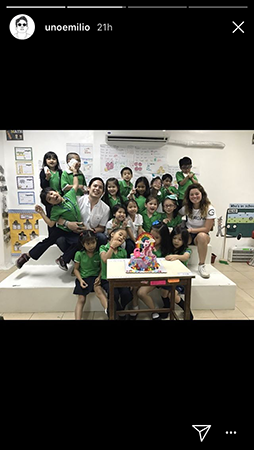 Andi Eigenmann and Jake Ejercito's unica hija Ellie just turned six years old and, of course, her proud parents couldn't help but gush over their daughter. 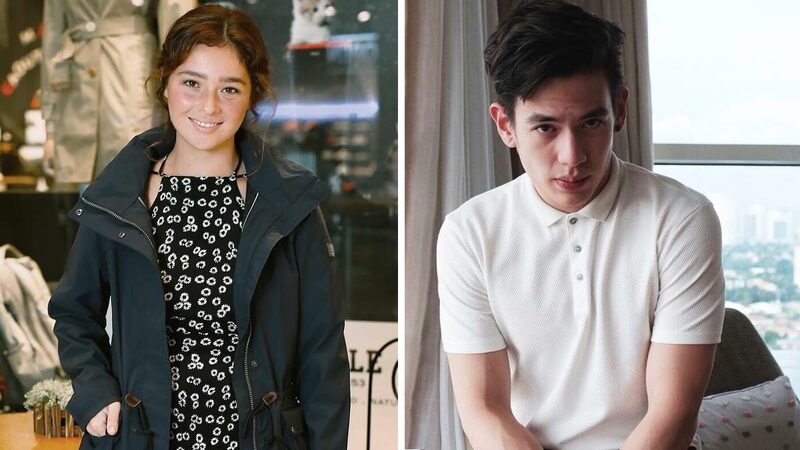 Both Andi and Jake took to Instagram and gave their heartfelt greetings to Ellie. What we noticed on their Instagram Stories, though, is that the controversial former couple were both present at Ellie's birthday party in school. 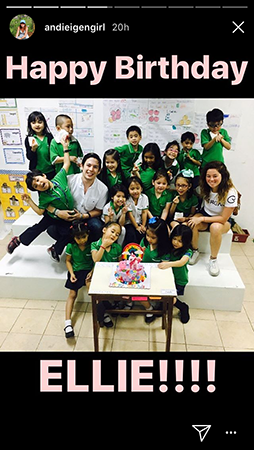 The two shared posts of tender moments of Ellie's special day with her classmates. 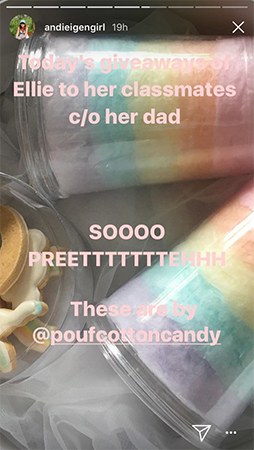 Andi also credited Jake for the cute party favors. 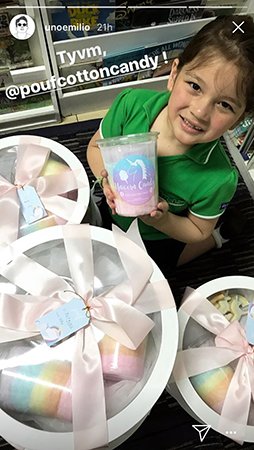 "Today's giveaways of Ellie to her classmates c/o her dad," she wrote. 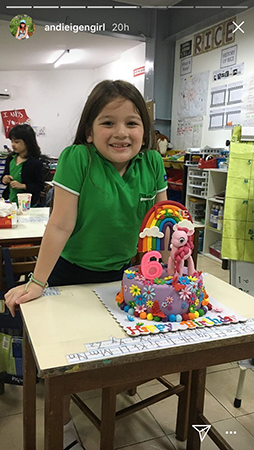 And here's the birthday girl, all giddy with her beautiful unicorn cake.